Home values saw their smallest monthly increase since May 2012, up just 0.2 percent in January from December according to the latest Zillow Real Estate Market Reports. Year-over-year, U.S. home values rose 6.3 percent in January, down from peak gains of 7.1 percent in August 2013. 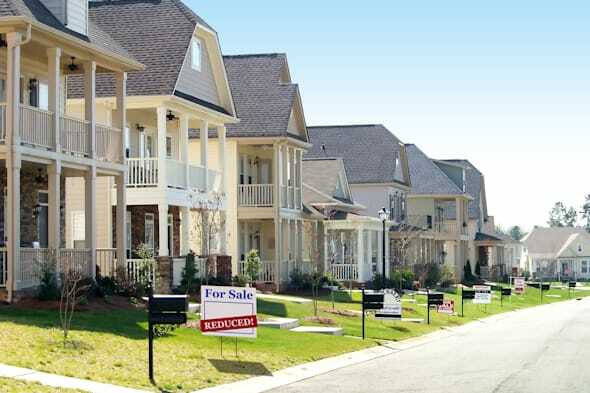 This slowdown is in part due to the rise in inventory of for-sale homes across the country. The number of homes listed for sale on Zillow was up 11.1 percent annually in January, the fifth straight month of rising year-over-year inventory. Stan Humphries, home shoppers should expect to have more buying power this spring as more inventory comes onto the market and home prices start to level off. This slightly more balanced market is another step on the road back to normal, and will help offset the impact of rising mortgage rates and more expensive homes for buyers. Inventory rose year-over-year in 82 percent of metro areas covered by Zillow, with the largest inventory gains coming in some of the areas that were hit hardest by the housing recession, including Las Vegas (up 42.8 percent), Phoenix (up 30.5 percent) and Sacramento (up 26 percent). These metros also experienced significant cooling in the pace of home value appreciation in January, as buyers had more homes to choose from and were less apt to engage in the kinds of bidding wars that helped drive prices up so quickly last year. Want to know what the current state of the housing market is where you live? Dive into Zillow's data, available all the way down to ZIP code and neighborhood levels, here. For a deeper analysis from Dr. Stan Humphries visit Zillow Research.